You are invited to take a little time out of your day to visit Sunderland Carers Centre, to find out more about how to support Young Carers and meet some of the Young Carer Ambassadors. 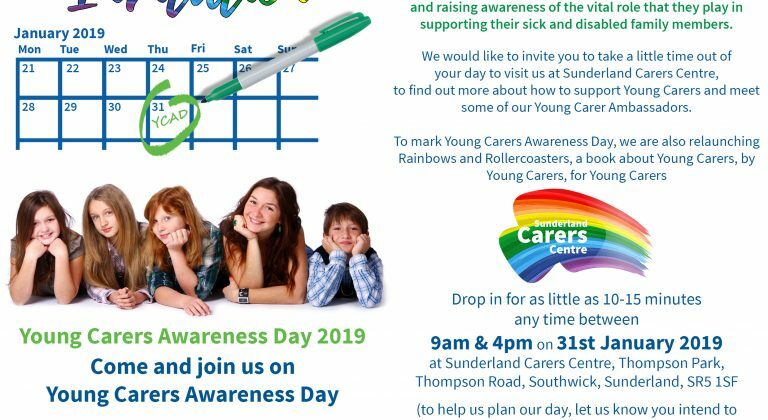 To mark Young Carer Awareness Day, Sunderland Carers centre are also relaunching Rainbows and Roller coasters, a book about Young Carers, by Young Carers, for Young Carers. You can drop in between 9am and 4pm, for as little as 10 – 15 minutes.